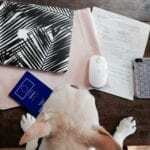 Best Airline Carriers For Your Dog - Where's The Frenchie? 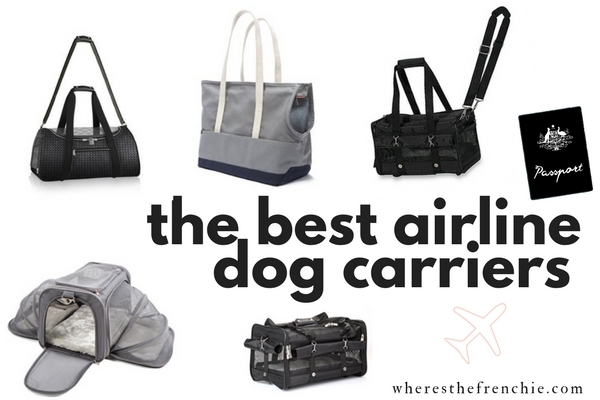 Which airline dog carrier is best? One of the questions I get most often on Instagram etc is what airline carrier I use when I travel with the dogs. 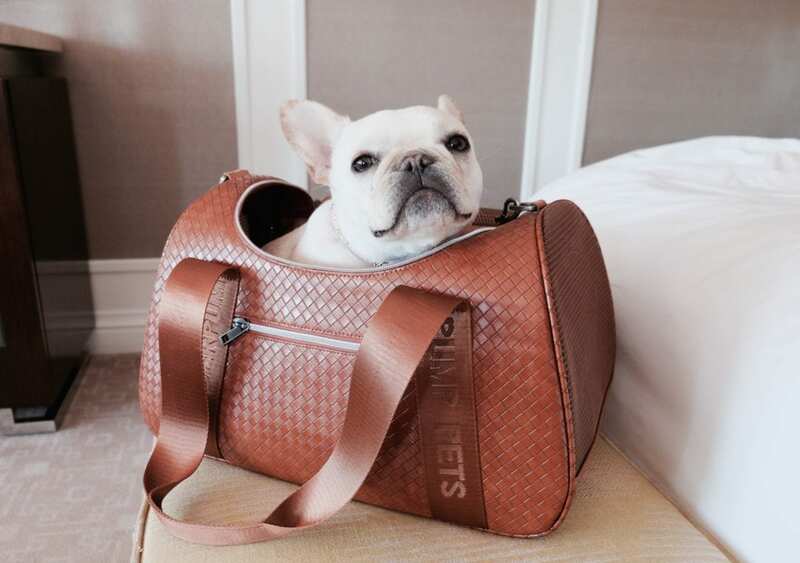 I know a lot of frenchie owners especially are worried about getting their pup through check-in because of the weight restrictions some airlines adhere to. SO FAR, I have never been asked the weight of my dog(s) or put on a scale. Of course, try at your own risk. SO. 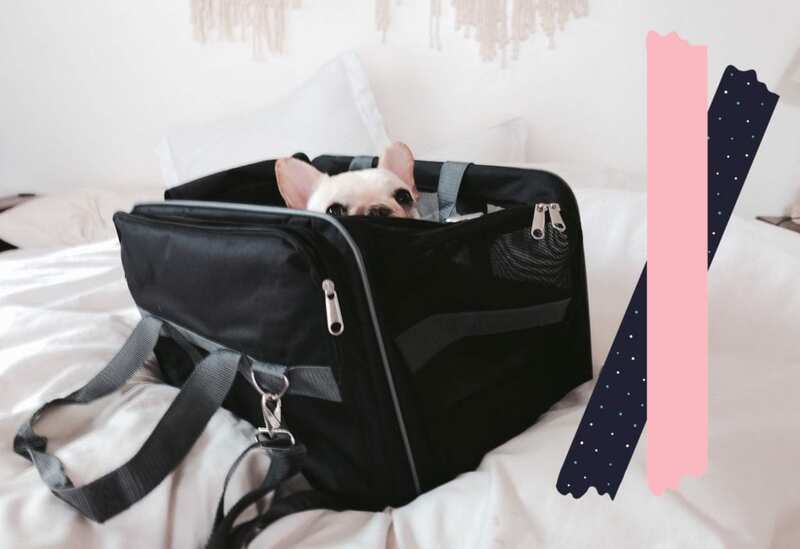 As long as your dog fits comfortably inside the carrier, you are free to fly. 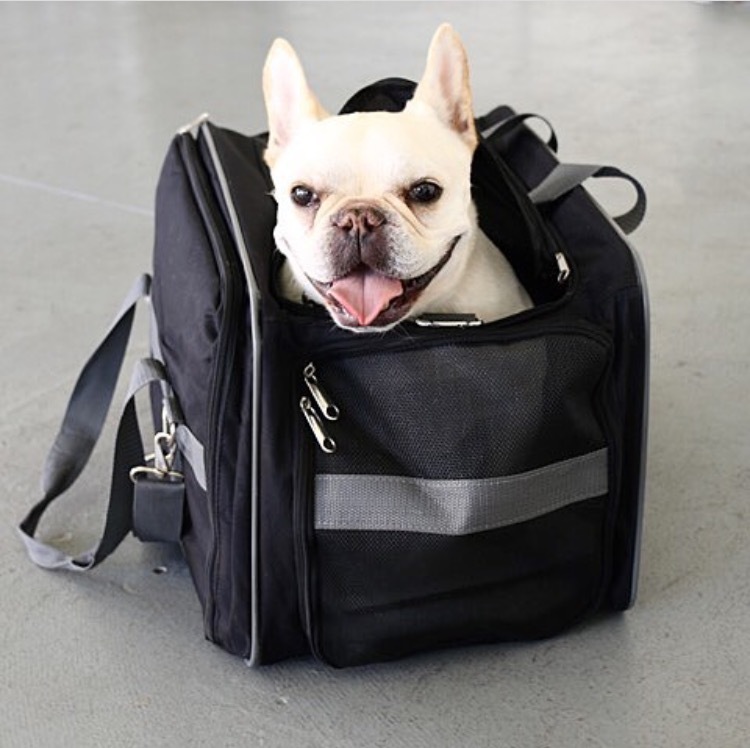 Your pup goes inside the carrier (put a treat and a chew toy in there) + under the seat in-cabin with you. Which carrier? I go simple and practical with the trusty Sherpa brand. 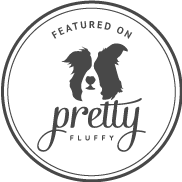 They are the go-to travel dog carrier and very affordable. I have the size Medium for Fira and size Large for Weston. Fira is around 14 pounds and Weston fluctuates between 22-24 pounds. 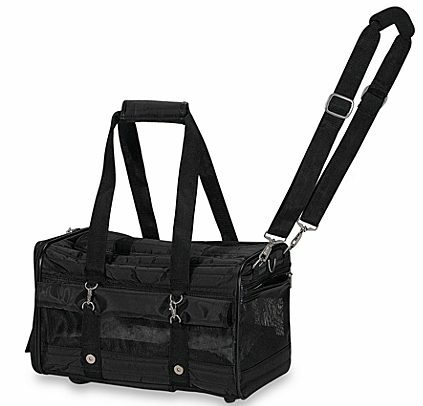 The carrier is nothing fancy but it is well-constructed and gets the job done! It also has a fleece lining inside and zip pockets. 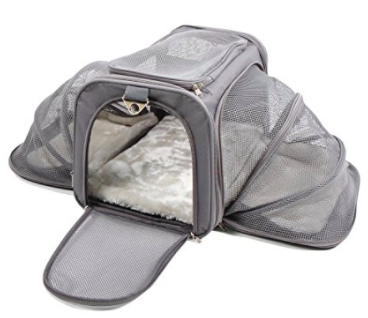 Another option I found is an Amazon Basics Airline Pet Carrier (does anyone else find it random that Amazon makes a dog carrier). It looks almost the same, is less than $30 and has great reviews. From looking at the measurements, it looks like the Amazon carrier is 2 inches smaller on the width than the Sherpa. Ta da! Sherpa also makes the same carrier with WHEELS. I’ve never used this or even seen it in person yet but I’ve heard good things about it. I’m considering it as carrying the pup(s) on my SHOULDER running through the terminals inevitably late to my gate with my luggage is not exactly pleasant. I literally feel lopsided because one side of my body is just dragged down by their weight. Frenchies are heavy, man. Dense. 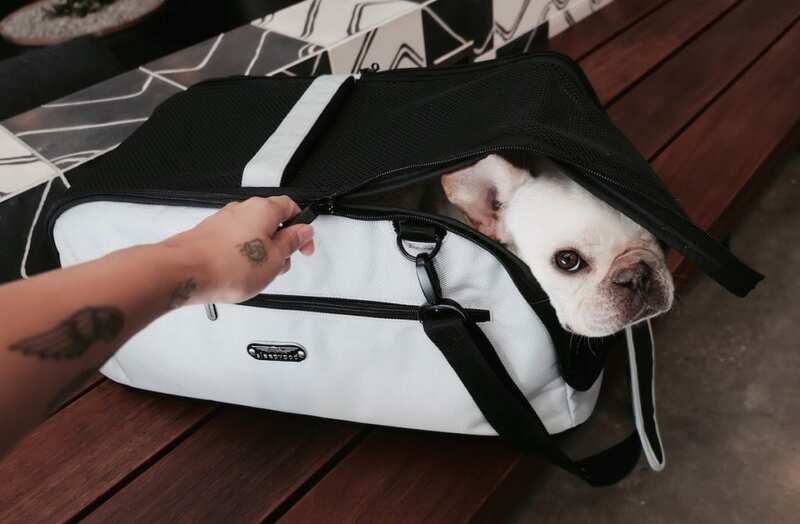 One of the carriers I use all the time is this Vanderpump Pets Graphite Carrier. This is FIRA’S bag because she’s the only one who fits in it. 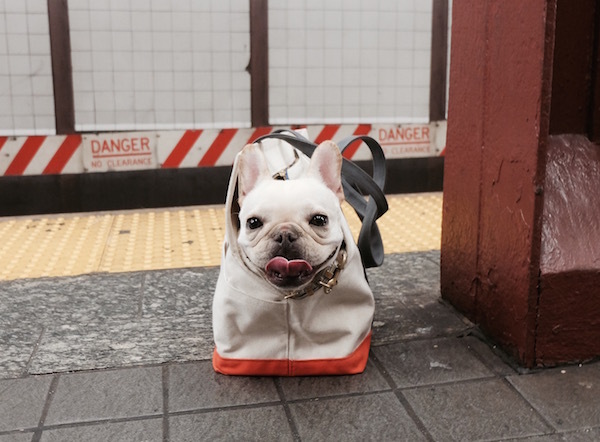 This one’s definitely for a small/medium-ish dog. This is the bag that goes with your photogenic outfits and just looks jetsettery (k, new word). It’s also really sturdy and the straps are wider which I like. Jet Sitter Expandable Pet Carrier. This is a new concept I haven’t seen before–super cool! The sides expand so your dog can have room to stretch and play while you’re waiting at the gate etc. 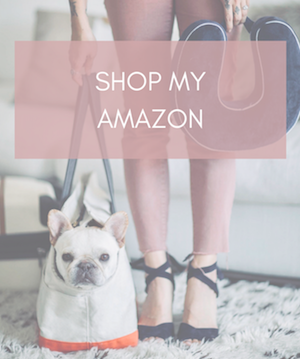 It’s also fully collapsible so when you’re not using it you can store under your bed or in your closet with minimal space. The Sleepypod Air In-Cabin Carrier is a new find that fits the bill. 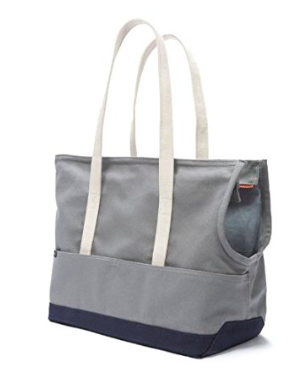 The length of the bag is 22 inches so it’s nice and roomy. If the airline’s under-seat requirements are less than 22 inches, the sides of the bag can also fold up to 18 or 16 inches! 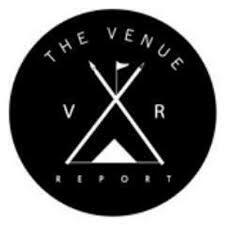 Read our full review here. The Love Thy Beast Tote bags are not airline approved nor a carrier but I always bring mine when I travel. It’s perfect for cab rides, subway, etc. You can easily fold it a bit and tuck it away in your luggage. 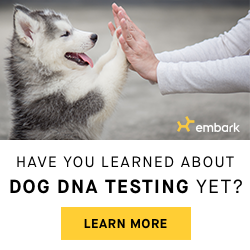 Does My Dog Need A Health Certificate When Flying?